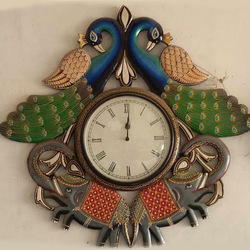 Leading Manufacturer of peacock couple wall clock, wooden hand painted wall clock, camel clock, decorative handicraft wall clock, elephant clock and handicraft wall clock from Jodhpur. 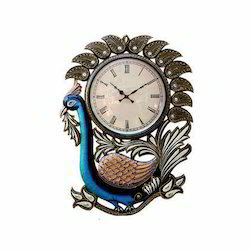 With sincerity and hard work of our professionals, we have carved a niche for ourselves in this domain by providing a premium quality gamut ofPeacock Couple Wall Clock. 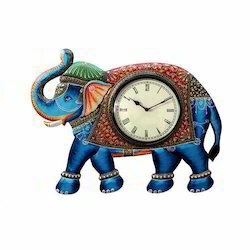 Being one of the renowned firms in the industry, we are decidedly involved in providing a high-quality array of Wooden Hand Painted Wall Clock. 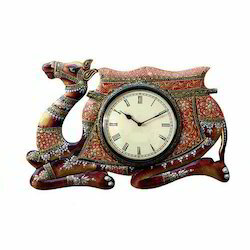 We have marked a distinct and dynamic position in the market by providing a high-quality array of Camel Clock. 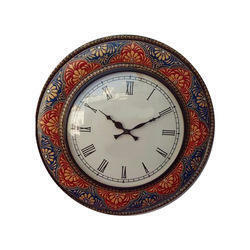 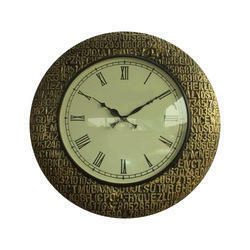 By leveraging upon our huge industry experience, we provide the best quality array of Decorative Handicraft Wall Clock. 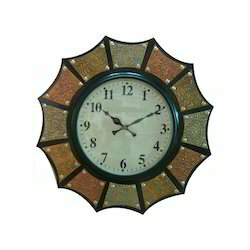 Looking for Handicraft Clocks ?